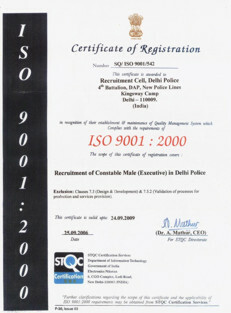 The Recruitment Cell working under the 4th Battalion of Delhi Armed Police, Delhi, has achieved ISO 9001:2000 QMS Certification for the Recruitment of Male Constables (Executive) in Delhi Police. 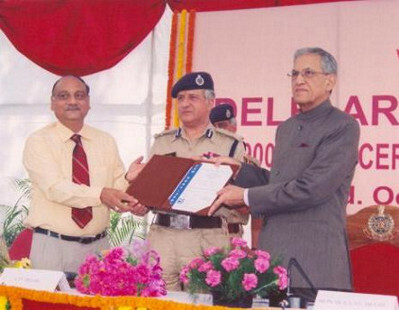 The Recruitment Cell is among one of the Police branch's of its kind in India to achieve ISO 9001 QMS Certification. The process for standardization and achieving ISO 9001 Quality Management System Certification for the Recruitment Cell started when the contract for the same was awarded to TQ Vision Consultants. Sh. L.N. Rao, Assistant Commissioner of Police was nominated as the Management Representative. The awareness programme on ISO 9001 requirements conducted by Sh. Rajeev Arora, Chief Consultant and Trainer, TQ Vision was attended by all the staff posted at the Recruitment Cell including the Senior Officials from the 4th Battalion and the Delhi Armed Police. The system documentation was drafted by TQ Vision after studying the existing systems and the requirements defined in the Delhi Police (Appointment & Recruitment) Rules. All Staff members and Officers were instrumental in providing the inputs & suggestions for the improvements and whole heartedly supported the implementation and the certification process. The Quality Manual and the Quality System Procedures Manual was released after approval from Sh. 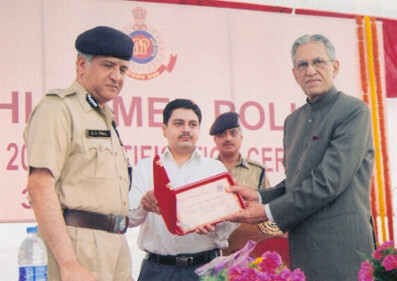 Deepak Mishra, Joint Commissioner of Police/AP. The Auditing Team from STQC Certification Services (Department of Information Technology, Government of India) headed by Sh. Atul Gupta was very much satisfied with the system implementation, internal auditing, impartiality & transparency emphasized in the recruitment system and has identified the system documentation and the management commitment as the strong areas within the organization. The Auditing Team also audited the Centre for Policy Research, New Delhi for the processes outsourced to them by the Delhi Police. 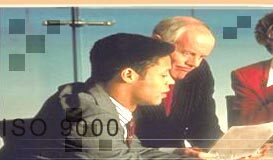 NEED MORE INFORMATION about ISO 9001 certification, Delhi Police ISO Certification, Delhi Armed Police ISO 9001, Delhi Police ISO Consultant, STQC ISO Certificate, Delhi Police ISO Certificate, Best ISO Consultant, Government ISO Consultant, Approved ISO Consultant, Authentic ISO Consultant, Approved ISO Training, Armed Police, Police Battalion ISO Certificate, ISO Systems, ISO standatds, ISO certification meaning?